With Patrick Troughton, Michael Craze, Anneke Wills, Frazier Hines. Written by Ian Stuart Black. Script-edited by Gerry Davis. Directed by John Davies. Produced by Innes Lloyd. Synopsis: The Doctor, Jamie, Polly, and Ben arrive at a holiday camp of the future, whose leaders are being controlled by the silent, omnivorous Macra. Note: An audio release narrated by Colin Baker is available from the BBC Audio Collection. Loose Cannon Reconstructions offers a telesnap reconstruction of this story. Audio recor dings and telesnap reconstructions of this story are available at Missing Doctor Who Reconstructions & Audios. The Doctor: "Bad laws are made to be broken!" The Macra Terror is an immensely likeable romp that has certain similarities to later Doctor Who stories such as The Happiness Patrol and The Sunmakers in that it is basically the story of a society gone wrong, one that preaches happiness and gratification, yet has a parasite at work at it's core. The characters, Medok, The Pilot and the regulars are played to perfection, and thankfully the Macra itself is kept in the sidelines, in a similar, but slightly less effective manner than was later used with Fury From The Deep's monster. Another crucial factor for the success of Doctor Who stories is in the incindental music. Here, the music is again terse and sinister, in keeping with other Troughton stories. What is a little different about The Macra Terror is that there is more than just a little humour (watch out for the scene where the Doctor is smartened up) counterbalancing the drama. Ian Stuart Black in this respect predates Robert Holmes and adds significantly to the overall eclecticism of Seasons 4 to 6. It has to be said that Patrick Troughton was amazingly consistent and perfect in his portrayal of the Doctor, and is great here. Ben and Polly are believably good, as is Jamie, one of the best companions. The colony is created studiously, with suitably garish tunes cropping up irregularly, and the direction is generally spot on. I watched this story via the Reconstruction, and I can say it's one of the best. There's no other way to get a better idea of such stories than by viewing these great videos, and The Macra Terror I am pleased to say, seems to have stood the test of time well. 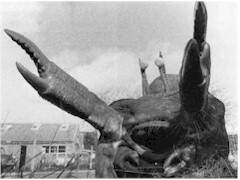 The Macra Terror has perhaps the dubious honour of being the first Patrick Troughton tale to feature a monster. Greatly enjoyable because it sees Troughton reaching first base with his portrayal of The Doctor and sets the tone for what was to follow, but also in its use of the companions as Polly is kept in the background and Ben is given a share of the limelight for once. The supporting characters work well particularly Medok and the holiday camp "things aren`t what they seem" atmosphere helps as does keeping the titular Macra partly hidden as it loses it impact when seen in its entirety. All in all, the best story of Season Four and one of Patrick Troughton`s classics.  There is a very odd thing that happens to Doctor Who stories. 60's stories to be exact and Troughton stories in particular. The problems actually start when odd episodes turn up. The Enemy Of The World, for instance. Episode 3. Many have watched, few have praised. The Enemy Of The World is really a cracking story but the surviving episode does not do it justice. Similarly The Space Pirates. Episode 2 is, shall we say, not a fan favourite. Once again, it's not that bad a story. OK, it's not great, but it certainly is far better than it's orphaned episode would suggest. For some reason, stories that have a lone episode often disappoint. The Macra Terror is not like that however. All its episodes are missing presumed dead yet it wouldn't matter if any one of its episodes turned up. We wouldn't feel let down. Because quite frankly there isn't a bad episode in it. By now Patrick Troughton is as comfortable in his role as Paul McGann was in his borrowed shoes. He oozes confidence in every scene he's in, like Tom Baker he truly was born to play The Doctor. The companions too are on top form. Fair do's Polly is a bit of a screamer, but she gives her all in one of the best cliffhangers the series has ever seen. Namely Episode 2 as she cries out, "They're in control!". Fair curdles the blood, I tell you. Jamie seems to spend the entire story in a constant state of mistrust in contrast to Ben (a great performance by Michael Craze) who's mind has been influenced by the voices in his sleep. Of the supporting cast Peter Jeffrey must be given special recognition. Despite being the pilot of the colony he is a good man, always fair in his dealings with both The Doctor and friends and the other colonists. It's a very strong performance which may remind some viewers of Martin Jarvis' tortured Governor in Vengeance On Varos. The story is an unnerving one. The colony is being slowly taken over by giant crab-like creatures brain-washing the colonists. One suspects that, visually, the Macra themselves were not the most convincing part of the production. However the concept of these creatures effectively eating away at the colony is one which could keep you up at night. The story has it all. A creepy tale, humour in exactly the right places (Jamie doing the Highland Fling! ), and a classic cliffhanger. True Episode 4 seems slightly rushed, but that's a minor point. One day these episodes will be rediscovered, they all will you know, and with commentary by Frazer Hines and Anneke Wills it would be a cracking DVD! Based on the Loose Cannon reconstruction. This story is one of the most deceptive so far in the series' run. It starts off in an innocent manner, showing a happy colony but gradually reveals this to be the result of manipulation by controlling forces. This sees some of the strongest uses of mind control and propaganda in the series, resulting in a story that is either a light weight tale let down by the singing and dancing and the limited appearances of the monster or a highly thoughtful and deep sighted adventure, depending on how far the viewer looks at the story. Ian Stuart Black's script is strong with few let downs bar the odd reference to 'insects' (left from before the monsters were changed). The colony is presented as one of happiness where everyone wants to fit in and enjoy themselves. However the Doctor is, true to form, anti-fashion and anti-conformist as shown early on in the scene where he emerges from a machine immaculately presented and immediately roughs himself up. As the story progresses he takes action to undermine the influence of Control, whilst at the same time discovering just what it truly is. In doing so he must deal with Ben, who has come under the influence of Control and is now prepared to undermine the others' efforts to escape. The Macra have traditionally been let down by the photos that exist showing one in clear light, but in the censor clips they come across as truly scary and never fully visible. Unlike many of the other monsters in this period of the series their sole aim is to survive in an increasingly hostile environment. This makes them stand out, as does their non-humanoid status or limited civilisation. They are a good monster for the story but are truly part of the story and should never be brought back. The human characters are mixed, with Peter Jeffrey (The Pilot) providing a strong performance but Terence Lodge (Medok) and Gertan Klauber (Ola) are both weak. The regulars all put in good performances, particularly Michael Craze who benefits from Ben having a significant role in the story for once. The Macra Terror is an extremely good story which is one of my favourites. Unfortunately this is another one of those stories that have been lost and I was not around when it was televised. But I did purchase the audiobook and found it extremely enjoyable. It is slightly similar to The Sunmakers, which is also one of my favourite Doctor Who stories. The incidental music in this story was great; it really adds to the story and makes it that little bit better. I believe that Ian Stuart-Black should have written more Doctor Who adventures, as I thoroughly enjoyed the three stories he wrote, this being my favourite. The stories he wrote were quick, tense and extremely good to read. The regulars performed well, especially Michael Craze as Ben, who put in a superb performance. Peter Jeffery was particularly good in his portrayal of the colony Pilot and put in a strong performance. Terence Lodge wasn't as good as Medok but still he put in a respectable performance. Although other fans have said that Gertan Klauber's performance as Ola was poor, I think that he performed the harsh, tough character well and I particularly liked the character Ola. One of the reasons I like this story so much is because the way that the colony ends up being so fake, from at first thoughts looking like a happy holiday camp to being the secret workforce for huge underground crustaceans. Something that helps you enjoy this story even more is the way in which the Macra really relied on the colony for survival. Although the Macra didn't really look the part, the way they were kept in the background was clever, being used minimally to great effect. All in all this is a hugely enjoyable story. 9/10. The Macra Terror is a story with one of the most absurd premises of Doctor Who history. Evil giant crabs are controlling a colony that runs as a holiday camp by hypnotizing the occupants into happily mining methane gas and working for them. As a story, it really should be a mess like The Underwater Menace, with an insane premise and the added rewrite to fit Jamie into the script, but it isn't. The quality of the story is actually improved by the added companion due to the hypnotizing and control of Ben. Jamie gets to have something to do, with Ben playing the villain throughout most of the piece. On the subject of Ben, Michael Craze gets some of his best scenes as the hypnotized Ben. It also only works that Ben is the one to be hypnotized because he is, as a member of the Navy, working class and would have gone to the holiday camps and be susceptible to the control of the Macra. Polly wouldn't because she is upper class and Jamie doesn't have a class and is already superstitious as it is. Looking at the other members of the main cast, you find Anneke Wills is on top form as the screamer, which is sad because Polly can do more than be screaming. The real highlight is watching Patrick Troughton become the Doctor that he is most well known for, finishing the development that started in The Moonbase. Frazer Hines also gets to shine, being superstitious of the colony and its forced happiness. The guest cast is also excellent, all forcing happiness in their performances but not enough so that it is cheesy. The Macra props are mostly kept in shadows during the story and only truly come out in part four, which works for the best considering the props aren't the best constructed. Their booming voice, however, is effective. The music is also effective. Dudley Simpson provides his second-best score (behind the catchiness of City of Death) that really should have been reused for The Happiness Patrol. It is a real shame that this story is completely missing because it is an amazing one. Now that's more like it! Immediately following The Moonbase, which I argue in my review of that story was a dreadfully regressive step for Doctor Who, The Macra Terror offers a window into an alternative Troughton era. Make no mistake, these are halves of a companion piece. Most notably, they run into one another, as The Moonbase ends, unusually for the post-Hartnell era, on a cliffhanger: the time scanner picking up the claw of the Macra. Quite why the Doctor decides to check the time scanner on this occasion and never again is unclear, but it serves to link the two stories together. Where The Moonbase encouraged us to fear the terrible things bred in the darkest corners of the universe, come to infiltrate and attack us, The Macra Terror depicts a society rotting from its head, and the malevolent secret at its heart has been here all along. Doctor Who in this period hasn't yet settled into the formulaic retreads of Man vs. the Monster that it would become famous for, but the notion that Troughton's era was the "monster era" corrupts our appreciation of this story. When Russell T Davies brought back the Macra in Gridlock, it was a joke about the return of a "name" monster that no one could remember, but in truth The Macra Terror is in no way a "monster story". It has the structure of a base-under-siege story, and, given the formula of Season Five, that's how we're predisposed to read it, albeit as a violently weird base under siege (a Huxley-esque holiday camp controlled by giant crabs), but that reduces an ambitiously ideological, political story into a formula. As with Tomb of the Cybermen, I checked out David Howe and Stephen Walker's Television Companion to see what they and the reviewers they quoted had to say. I found that the critique of The Macra Terror is confined to half a page, versus a page and a half for The Moonbase. Walker and Howe cite unnamed "others" who blame the Macra for making the story slip into "monster mayhem territory", and the only reviewer they quote by name ridicules the story for attempting to be "subtle" with giant crabs. Really, guys? Doctor Who is too good for some fans. The Macra Terror isn't trying to be subtle, but Doctor Who really isn't a subtle show. It wears its heart on its sleeve, in a very Gaimanesque tell-don't-show way. It's an adventure series about an immortal wizard in a magic box and has to compress its narrative into twenty-five or forty-five minute chunks weekly. The Doctor's statement to the Pilot (I erroneously said that the Doctor says it to Polly in my Moonbase review) that "bad laws are meant to be broken" is famous, but if you think that isn't obvious enough, take a look at the Doctor's advice to Polly after foiling her brainwashing: "Don't just be obedient. Always make up your own mind." Later, when the Pilot assures the Doctor that Medok will be treated so he is just like everyone else, the Doctor asks, "Why do you want everyone to be the same?" The Doctor might as well be looking out of the TV at the audience as he says it. I mean, come on, the jobsworth in charge of the gas mine is named "Officia". If you want subtle, though, think about the implications of what the Doctor says when Ben praises his spruced-up appearance, in terms of the story's broader themes. Ben quips that he can see his face in the Doctor's shows, and the Doctor witheringly replies, "Who wants to see their face in a pair of suede shoes?" You've got it all there, really. This story is often seen as pushing an anarchist perspective, deriving mainly from Troughton's "bad laws are meant to be broken" maxim, but this is hardly a perfect reading. It could just as easily be a Marxist parable: the working class, brainwashed into false consciousness, are exploited for the benefit of an extractive ruling class. Lib Dem blogger Alex Wilcox sees a "classically Liberal" message in the Doctor's injunction to "always make up your own mind". But what about a conservative reading? Politically correct social engineers enforce control over society in the service of an elite of technocratic parasites who depend on something toxic to those who provide it (what else but the dreaded income tax?!). Doctor Who in an Exciting Adventure with the New Class. The message of the story - that free will is great and being exploited by malevolent totalitarians is bad - is so unimpeachably acceptable that it has no true ideological charge; it's an ungainsayable endorser of the obvious. Nevertheless, it's great to see a story from this period that is so aggressively about something. What's The Moonbase about? What's The Faceless Ones about? You could squint and see something about youth being ignored and forgotten in The Faceless Ones, but The Macra Terror proudly wears its heart on its sleeve. Is the Doctor's injunction to Polly - "Don't just be obedient" - the first major statement of the Doctor's own ethics? It's hard to imagine William Hartnell saying something like that. It's wonderful to have the Doctor treated as an overtly ideological, social-justice-oriented character rather than a generic hero or space wizard. Ian Stuart Black is hardly one of the most well-known writers for Doctor Who, but he should be praised for this story - which is just flat-out really good - and treating the series as a vehicle for strong moral stances. Troughton is in his element here. Rather than a clownish avenger of humanity against monsters that he became, the Doctor here is an almost savant-like figure, flitting around the periphery of the story making a few gnomic comments or asking seemingly irrelevant questions. It's this elliptical nature that makes Troughton's Doctor very different to the others, who normally favour a more direct approach. Like any Doctor would, Troughton sneaks away, goes where he shouldn't and consorts with deviants, but just how much he knows and how he feels is kept opaque. The Doctor is a mysterious figure in a very different way to Hartnell's Doctor, keeping to himself and avoiding the grandstanding of his other incarnations. Troughton would eventually get bored of the series and phone-in his performance for Season Six, but if the scripts stayed as engaging as they were in his first season I doubt that would have happened. There are so many things I like about this story. The world of the colony is wonderfully loony: a tacky holiday camp controlled by Big Brother, in which dissidents are sent to salt mines for punishment labour. Sadly, the loss of all four episodes means that modern viewers cannot revel in the absurdity, though the use of music throughout leads to some cleverly funny moments. Turning the muzak into communist-style Stakhanovite propaganda ("We are happy to work / For the good of the colony") is inspired. I laughed at the scene in which Polly is praised on her looks and assured that she will "surely be elected our next Beauty President". The hilarious vacuity of the compliment is amplified by the hairdresser brushing aside Polly's gratitude by saying that it's all part of the service, cheerfully admitting that the compliment was utterly insincere to begin with. Terrance Lodge's Medok starts out as the generic Doctor Who Loony Who's Actually Completely Sane, but, upon being sent off to the salt mines, his performance changes, and he adopts a tone of weary sarcasm, like a smart-arse university tutor. This adds to the strange prosaicness of the colony world. This isn't a totalitarian hellhole with tortured dissidents, it's a holiday camp and the dissidents are hipsters who don't want to join in. In other words, this story is part of the last gasp of the Hartnellesque vision of Doctor Who: an anthological show that explores strange spaces and weird juxtapositions. Season Five and then later the UNIT era essentially created a "Doctor Who formula" as a distinct, certain thing, which can be aped by future Who (base under siege and alien invaders subverting some mundane feature of contemporary society). Prior to that, the "Doctor Who formula" was to land in a story utterly unlike the week before. Despite explicitly attempting to return to that model in the second Moffat era (beginning with Let's Kill Hitler), modern Who still feels less fresh than this. There are some wonderfully loaded lines. The propaganda muzak is, as I've said, inspired ("Happy to work, happy to play"), as are plenty of the lines from the tannoy announcements ("Now, back to work, everyone" sounds a lot like a mock-friendly corporate announcement). The Pilot informs the Doctor that the colonists' ancestors "believed in the virtues of 'healthy happiness'", a delightfully creepy concept. We are presumably meant to conclude that this society was shallow and authoritarian before the Macra took it over, which adds a very different angle to the story's themes. The mention of "healthy happiness" encourages a comparison with The Happiness Patrol, which is actually a good stablemate, since both contain not-quite-real, allegorical spaces characterised by superficial happiness in which those who refuse to conform are treated as mental patients or killed. In both stories, displays of affected and compulsory happiness are obliged "for the good of the majority". That happiness, like any emotion, is a spontaneous, personal experience is irrelevant, because it is treated as something political. I don't know what Britain was like in the '60s (I'm tempted to think that the genuinely uniting experience of the war made people less dependent on such facile displays of fake unity like this), but "healthy happiness" is easily recognisable today. Perhaps it is the long period of peace since the Second World War slowly draining us of the old sense of national purpose, or the social atomism of neoliberalism and globalisation (yeah, yeah, blame Thatcher again...), but we seem almost desperate to use events as opportunities for ostentatious displays of national unity. Recent amazing acts of spontaneous public mourning here in Australia, for instance for the cricketer Phillip Hughes (who died as a result of injuries from a cricket ball), genuine as they were, seemed desperate, as though we cherish moments of national unity. And that's nothing compared to the compulsory celebrations governments and NGOs expect of their citizens on national holidays; the latest wheeze was for us to stop what we're doing at midday on Australia Day and sing our national anthem, which is famous for its terrible lyrics and droning score. Healthy happiness. As the Doctor says, "The man who wrote that should be sent to the Danger Gang, not us." It seems rather like a holiday camp: forced sing-a-longs and humiliating group activities. The hint that the society was sick before the Macra got there adds a fresh light to the thing that brings this story closest to being notorious: the Doctor's decision to wipe out the Macra, despite implying that the Macra are the planet's native species ("Perhaps they were always here..."). This places the Doctor in the position of committing genocide against the planet's indigenes for the benefit of the colonising power. Needless to say, this is utterly at odds with the message of Ian Stuart Black's first Doctor Who story, The Savages. Either Black did not see the comparison because the Macra are not humanoid and thus seemed less deserving of mercy, making him in this regard a racist on par with the Elders themselves, or he had something else in mind. The Macra are repeated described as being like "germs", "giant bacteria" and "grotesque insects", implying that they fail to qualify as sentient. Perhaps they are a reflection of the human society they have infiltrated: manipulative and superficial totalitarianism. On the other hand, the Macra in Control certainly seems sentient. It threatens and cajoles the human Controller, and its last words appeal to human self-preservation to stop the Doctor (it says that the gas pressure will be too great, "even for humans"). Even if the Macra are the sentient inhabitants of this nameless planet, the fact remains that slavery is wrong no matter who's doing it - the natives or the new arrivals. Notably, this is mental slavery, stripping the humans of their free will and crushing their ability to think critically. The Doctor has always expressed greater revulsion at mental slavery than anything else. He is outraged at the prospect that "man will become like a string of sausages, all the same" at the hands of the Master of the Land of Fiction; when he explains that the Mandragora Helix will turn humanity into "mindless, useless sheep", he spits it out with revulsion; he refuses to debate with the Editor the pros and cons of mental versus physical enslavement in The Long Game; and cruelly tricks the Silence into ordering their own genocide in Day of the Moon. In short, the Doctor has always been defined by his belief in free thought. One of the first moral statements he made was in opposition to the Conscience of Marinus. He is, essentially, a man who champions the rights of the individual, both as such and collectively, and one of the worst things you can do in his moral universe is to turn other sentient beings into your tools. The Macra Terror is a truly wonderful story that is perfectly suited to Troughton's Doctor. A Troughton era that took its cues from The Macra Terror instead of The Moonbase would be so much stranger, so much darker, so much madder and so much better.